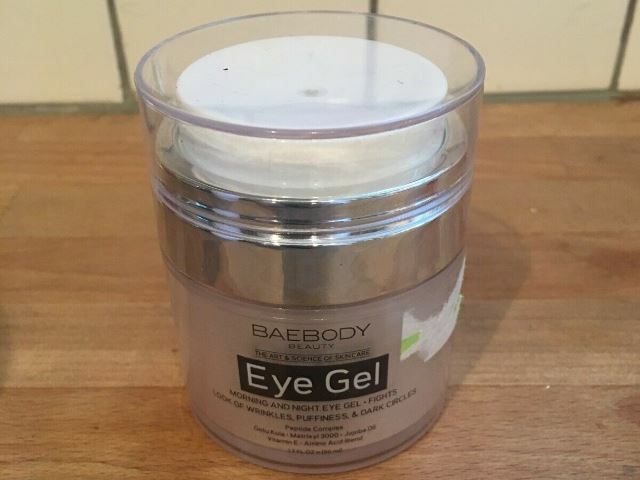 Baebody Eye Gel Review - Is It As Good As They Say? Does This Eye Cream Live Up To The Hype? Over the years, I’ve been dealing with eye puffiness and dark circles. This robs my self-esteem when I’m with my peers. And every time I visit a physician, I’m told to prop my head up while sleeping, do facial massages, and drink more water. At some point, I tend to think I’m genetically predisposed towards having under-eye issues. I’ve tried natural remedies and over-the-counter creams but nothing seems to work. While most brands out there claim to use natural ingredients, I’ve realized they offer nothing unique – it’s just a marketing gimmick. A month ago, I was going through my usual browsing and I noticed one eye-cream that popped in almost every beauty search. 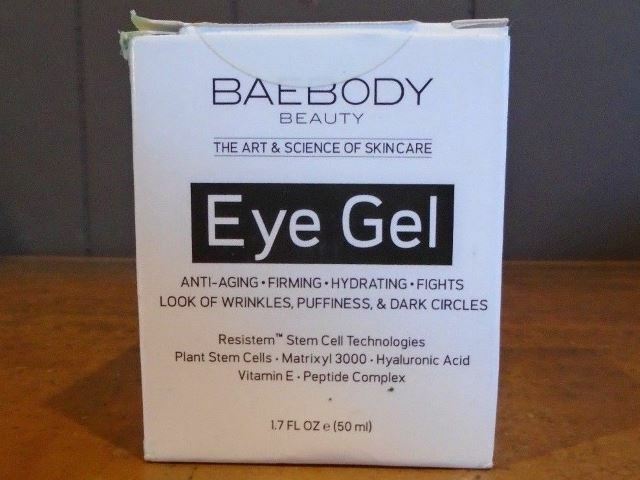 The Baebody Eye Gel grabbed my attention and I started doing some research. Normally, I’m skeptical about trying new products but can over 14,000 people be wrong? Believe it or not, I started using the product and noted a dramatic difference in two weeks. Today my upper eyelids look much tighter and the wrinkles under my eyes have lessened, which was an unexpected bonus. Read on and learn more. 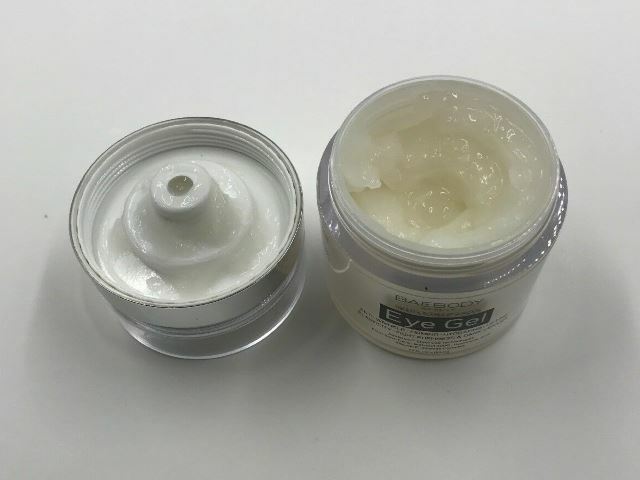 What is Baebody Eye Gel? You’re probably asking, what is so special about this product? Well, it’s specially formulated to address all eye problems including the appearance of fine lines, dark circles, sagging, wrinkles, and more. In addition to that, it keeps your skin hydrated and protects it from environmental stress. Unlike other skincare products out there, the gel penetrates on the skin easily making it glow with radiance. Baebody is a beauty product manufactured in the United States. The company was recently purchased by New World Natural Brands. All products undergo stringent quality checks to ensure they are safe for human use. In addition to that, the gel is manufactured in FDA registered and GMP compliant facility. The company manufactures other products like moisturizers and facial products. However, this gel remains the best selling product. It’s worth mentioning the manufacturer gives 60-days money back guarantee just in case you’re not satisfied with the product. Before I bought the product, I wanted to know whether there is a secret ingredient. Surprisingly, everything is natural. This means you should not expect to see overnight results. The main ingredients are cucumber extract, jojoba oil, aloe, vitamin E, organic licorice, hyaluronic acid, and matrixyl 300 (an antioxidant). Matrixyl 3000 – This is a signature ingredient made of stem cells to plump skin around the eyes. It boosts the production of collagen making the skin tight and firm. Even better, Matrixyl 3000 contains peptides which are known to reduce any redness associated with inflammation. The peptides work synergistically to produce skin cells amino acids. It’s important to note that there are dozens of studies out there that support these claims. Finally, this ingredient works as an antioxidant by eliminating the harmful free radicals that cause the appearance of wrinkles. While this may sound like weird internet hype, the best way to find out is to try the product. At least, it has worked for me. Hyaluronic acid – Hyaluronic acid is also referred to as the `dermatologists’ favorite. Although it’s naturally found in the skin, it tends to decrease as we age making the skin to sag. Sometimes, the acid is called the fountain of youth – for good reasons. This explains why it’s used in many skincare products that help to minimize fine lines and wrinkles. With this ingredient, you can be sure your skin will look plumper and youthful. According to modern science, Hyaluronic acid also helps to plump up the skin by retaining moisture. Vitamin E – It exhibits antioxidant properties that protect the skin from the harmful free radicals. This powerful ingredient helps to repair and rejuvenate the skin cells after prolonged exposure to UV light. It also eliminates age-related spots. Organic Licorice – Licorice helps to brighten the skin and reduces the appearance of dark circles. Additionally, it minimizes minor skin color discolorations. Aloe – This powerful ingredient is native to ancient Egypt. Aloe has amazing skin healing benefits thanks to the antioxidant properties. It works as a moisturizer and most importantly reduces skin irritation. I always dab the gel around my eyes, cheek, and forehead. For best results, I apply twice daily (morning and evening). Of course, the product can be used under makeup. It’s important that you wash the face first. Baebody does not contain synthetic ingredients, which means fewer side effects. I have been using the product for almost three weeks and everything seems fine. However, our skins are different. According to the manufacturer, the gel can cause a burning sensation or irritation on specific skin types. These are mild side effects and will disappear after a few days. Some people may experience rashes or red skin around the eyes which is a sign of an allergic reaction. If you spot any of these signs, you should discontinue using the product immediately. To be on the safe side, you may want to do a patch test to eliminate any worries of skin reaction. When using the gel, avoid applying too close to the eyes. But if the gel accidentally gets into your eyes, make sure you rinse immediately. Baebody Eye Gel has been trending on Amazon for a couple of months now. I have to admit this is something that piqued my interest. This product has more than 14,100 reviews where 80% of the reviewers give a five-star rating. This is one of the reasons why I was convinced to try it. More interestingly, you’ll find that the reviews are from both young and old women. Majority of the reviews show users are happy about the dramatic results of the product. I’m not surprised this gel is ranked as one of the best-selling products on Amazon’s beauty selection. 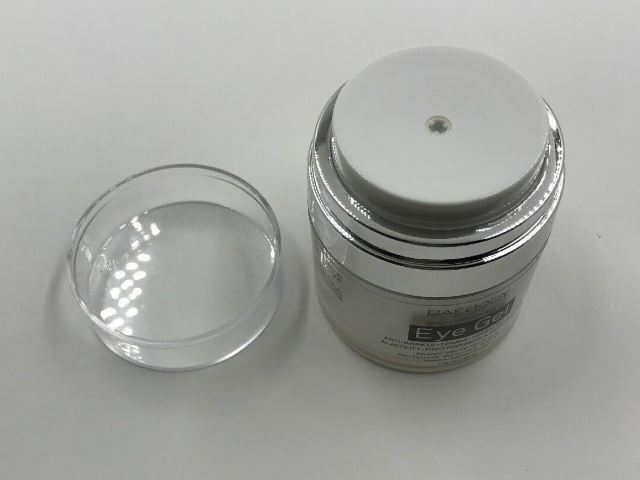 Baebody Eye Gel helps to eliminate all skin problems around the eyes. It has done wonders for the bags under my eyes and the dark circles have definitely reduced. I like the dispenser which pumps the right amount of gel. This means I don’t have to worry about applying too little or too much. 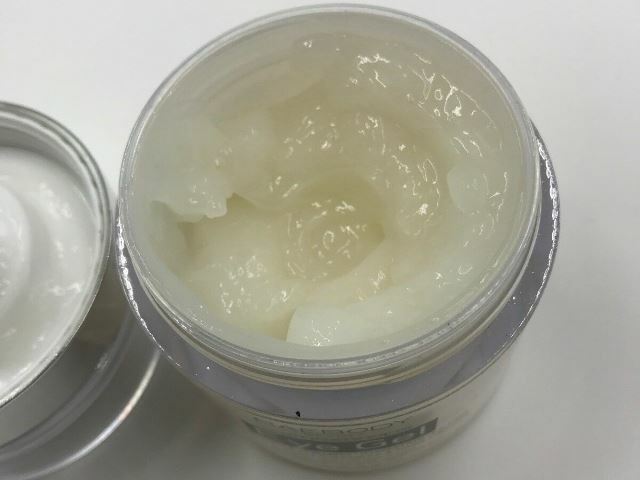 Unlike other products out there, the gel has non-greasy texture and is absorbed by the skin quickly. But what is more intriguing is the fact that it’s light on the skin and does not leave a taut feeling. I’ve also noted the gel works well on other areas like the neck. Whether you want to improve the look under your eyes or step up your beauty routine, I highly recommend that you try this product – you won’t be disappointed. 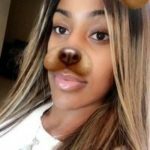 TashaNicoleWright.com is a participant in the Amazon Services LLC Associates Program, an affiliate advertising program designed to provide a means for sites to earn advertising fees by advertising and linking to amazon.com.